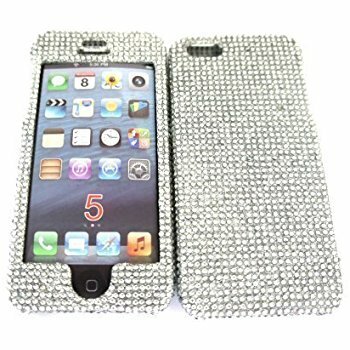 Another trend set to be big for this autumn is putting (completely unnecessary) diamantes on all your accessories, magpies rejoice! A bit of ice for the winter is really not that major, but the sheer tackiness of this wave of the trend makes it stand out. 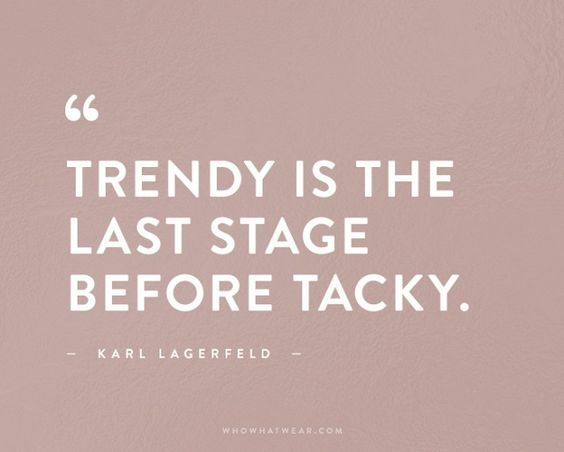 Karl Lagerfeld said "Trendy is the last stage before tacky" - tbh I think with this trend the line is kinda blurred. Now that this trend is getting big, it's really clear to see how it's been brewing over time. As always, celebs are miles ahead of us. But maybe a few of us were even before them - hands up if you've ever own anything as revolting as this when you were younger? approx 2009 - The cool kids owned something like this. 2010 - TOWIE airs for the first time, and sparks a nation-wider awareness of what a vajazzle is. 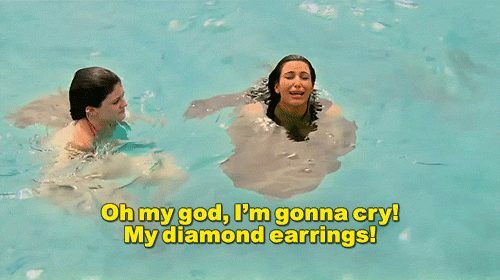 2011 - Kim wears diamonds earrings and loses one in the ocean in Bora Bora. An iconic piece of film which possibly inspired our love of sparkly things, we feel u Kim. November 2016 - Kendall goes for a "20's, retro Paris Hilton look" for her birthday outfit. 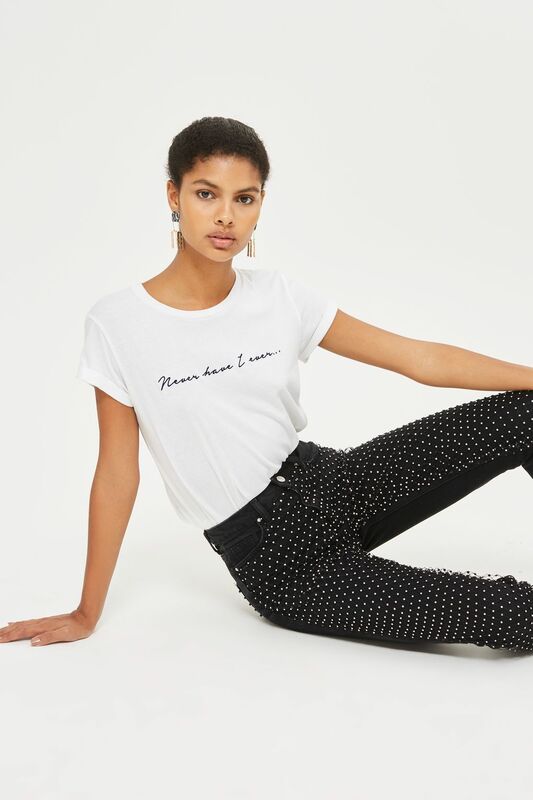 She inspired thousands of girls to cop the style throughout the season. Those little diamanté chain tops were everywhere. December 2016 - Kylie wears diamanté tights on insta and then we see them everywhere for the whole month. 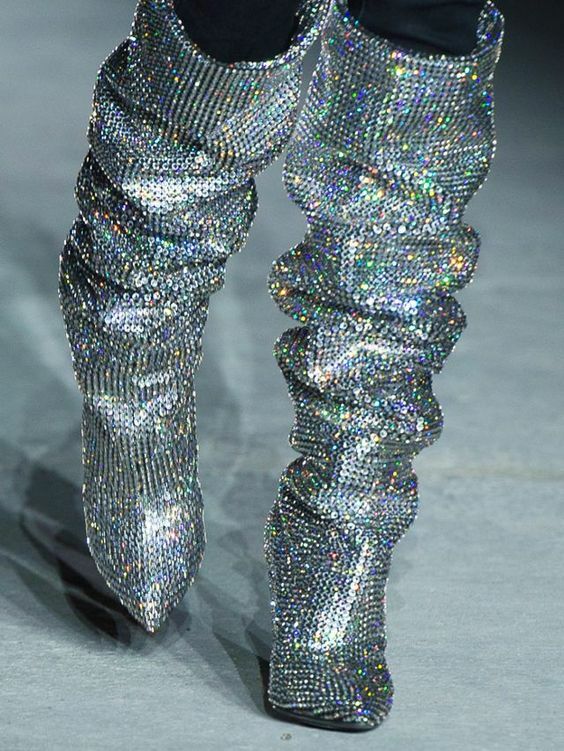 February 2017 - THOSE Saint Laurent boots appear at Paris Fashion Week. There's instantly a waitlist for the boots yet Rihanna wears them in March because she's Rihanna. April - Rihanna wears a full Crystal Gucci bodysuit to Coachella. 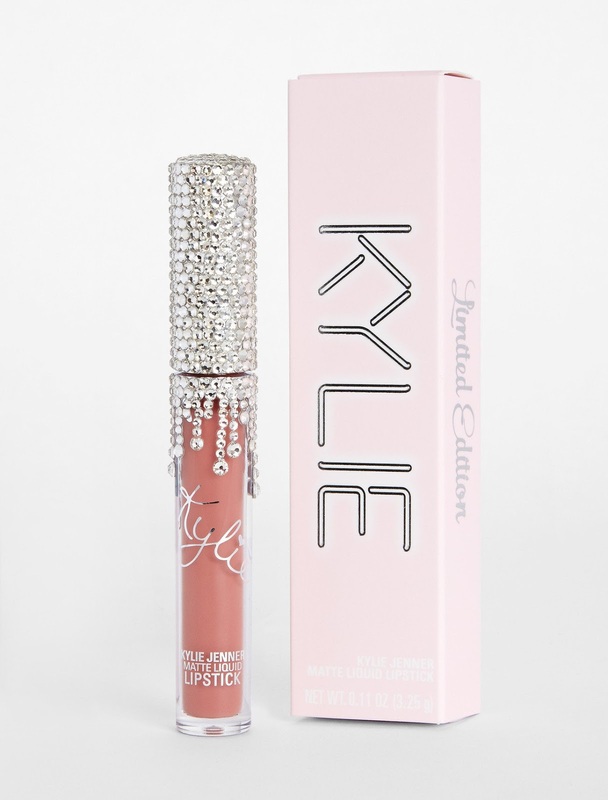 August 2017 - Kylie Jenner makes even more money by covering her lipsticks in diamantés and upping the price. Genius. Also pictured at the beginning of blog post: Glitter Sandals, Diamante Choker, Drop Earrings.